Experts in large format printing. 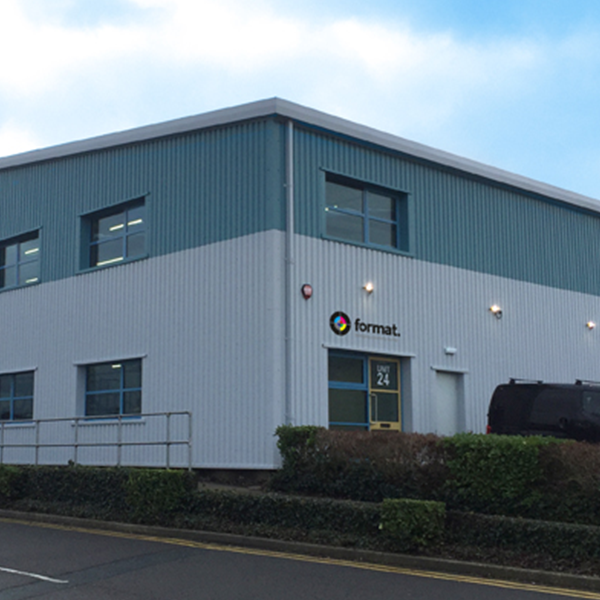 We now live in a brand new facility in Stonebridge Milton Keynes. Don’t worry, all our contact numbers and email addresses remain the same! Same great service – just with a new address! Based in Milton Keynes, our state-of-the-art, super-wide format digital printing and manufacturing facility will produce just about anything you can imagine to the highest standard, with no costly 3rd parties involved. You can rely on Format Graphics for fast, effective and competitive solutions for all your print and POS material. From one-offs to volume production, our passion is large format print production. 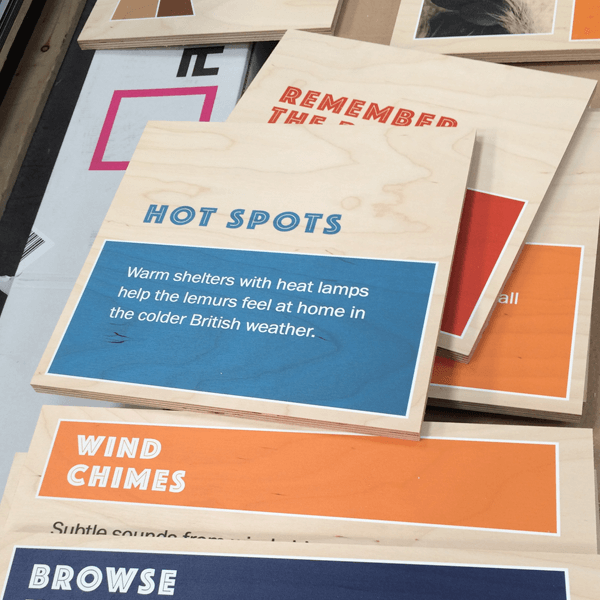 We can direct print and finish onto a diverse range of media including vinyl, posters, banner stands, foamex panelling, display board, e-flute, acrylic and wood – output length is usually only limited to the material. Our large-format, cool cure LED digital printer is capable of handling flexible or rigid media up to 3.2 metres wide and 5cm thick. We draw on many years of experience in large format printing, but this hasn’t stopped us looking into the future and investing in the latest technology to bring you the best quality print – and of course, value for money. Graphic designers are great at creating edgy designs that will help make your business or brand stand out from the competition and help your messages cut through. The challenge is taking those designs from digital to physical. 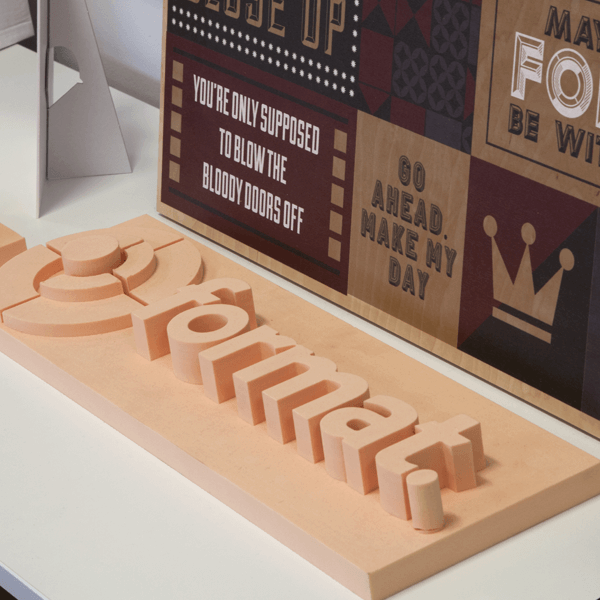 We’ve invested into the latest cutting edge technologies and printers that allow us to surface print direct to any media, and combined with our precision CNC cutting tools, means we can bring your graphics to life, regardless of size or shape. At Format Graphics, we’re all about solutions and ensuring that your graphics will make the best impact. To ensure you can maximise the impact of your project, we love to get under the skin of campaigns. Our team will take the time to understand your project and your objectives and by doing this, we can identify the best ways for your project to be brought to life. Where appropriate, our team will visit the locations the graphics are to be displayed and conduct site surveys to understand the environment your designs will be used in to assess what the most suitable materials will be. Our passion is taking creative designs and coming up with solutions that bring them to life in the best way your audience can experience them. We thrive on innovation and have extensive experience using the latest techniques and technologies to push the boundaries of large format graphic solutions that are used in all manner of locations. We’re happy to work directly with designers and design agencies to support the creative process and advise how different materials can be used to bring your creations to life. The tactile and sensory experience of graphics and communications can make all the difference. We carefully look at the fabrics and textures and utilise our cutting edge LED cold cure printers to help your designs be as engaging and interactive as possible, to make the biggest impact. 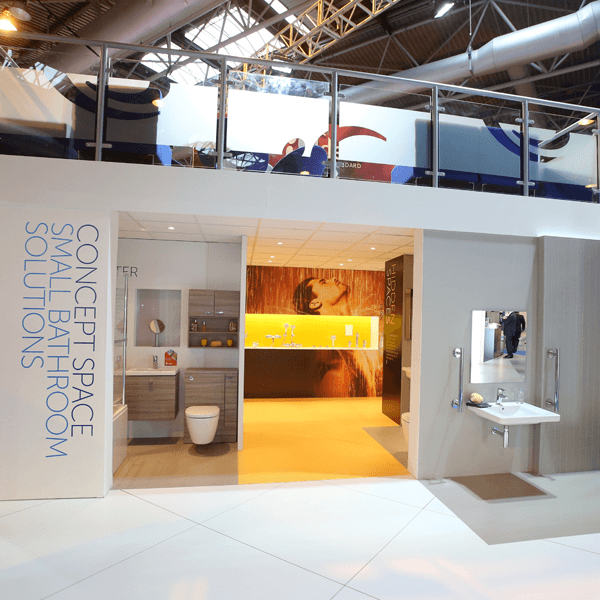 The result… Engaging, tactile graphics that make an impact. Our passion lies in producing the highest quality large format graphics. From indoor point of purchase materials to large outdoor installations, we’ve got the experience and equipment to produce unique and engaging solutions. We invest into using the latest cutting edge Direct To Media (DTM) printers and technologies, which enables us to surface print direct onto virtually any type of media or material. When it comes to graphics, size really does matter. 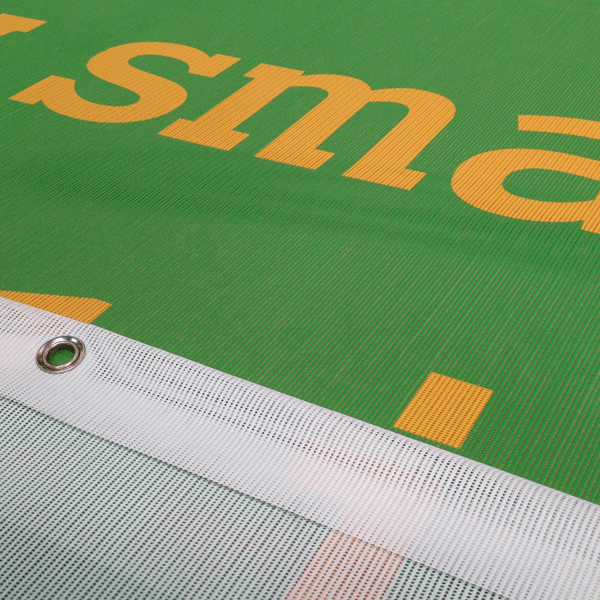 We’re proud to use the latest technologies and printers capable of printing direct to substrate on rigid and flexible media up to 3.2 meters wide and 5cm thick. 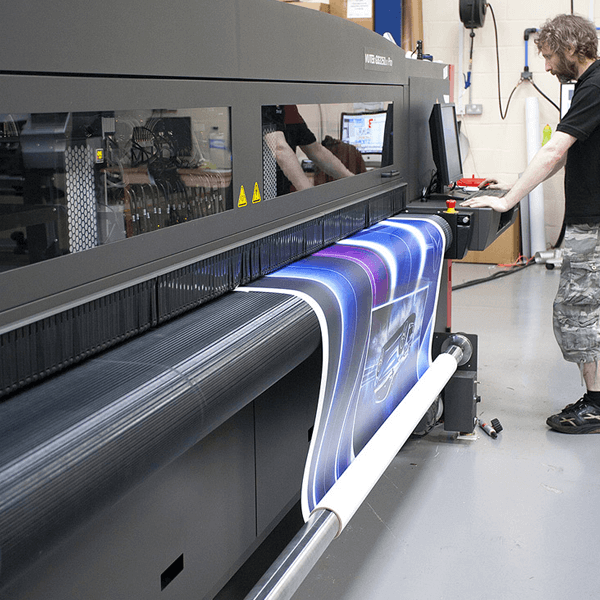 Format Graphics was the first large format graphics producer in the UK to install the Vutek LED curing printer, which opened a world of opportunity for large format printing. The LED curing process means that we can print onto a wide variety of materials and avoid warping and distortion that is usually experienced in UV curing. With printers such as the Vutek, we’re able to print to unrivalled levels of quality. Capable of printing up to 90 metres an hour with an ultra high resolution of up to 1000 dpi, our LED curing printers are not only more environmentally friendly, they reduce our production times at no sacrifice. The cutting & finishing process begins. We all know that it’s the way something is finished that will make the big difference and that’s why we only use the best equipment for finishing our productions. 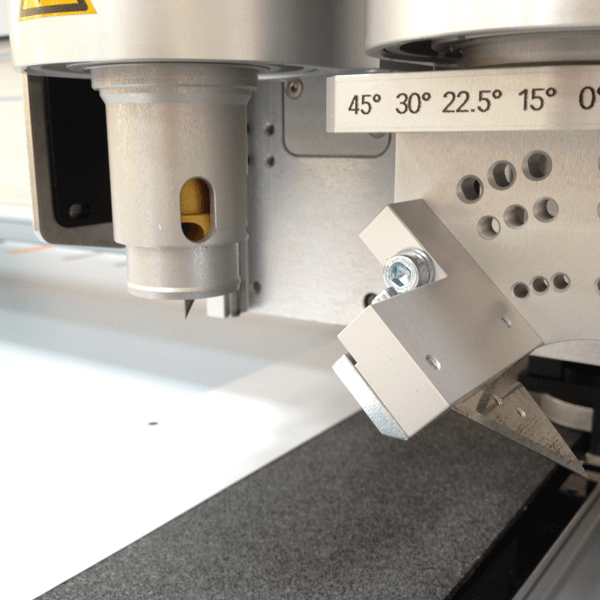 The most advanced cutting & finishing system. Just like our printers, we invest in the highest quality finishing technology, because we know that how your graphics are finished can make all the difference. Our Zünd G3 has a cutting table measuring a huge 3.2m x 2.2m that cuts and finishes all of our printed material. We use it for cutting foamex panelling, posters, display board, foam board, pop ups, banner display graphics, vinyl hoarding and “V” cutting of boards for point-of-sale displays. Its speed and precision allows us to cut a 6-panel pop up display in less than 10 minutes, with far greater accuracy than a traditional, manual process. The devil is in the detail and how your graphics are finished can make all the difference. They are a reflection of your business and products, and if you’re anything like us, you’ll want to make the best impact. We only use the very best cutting and finishing machines to ensure the highest quality in the final stages of production and when the job requires more than a cutting blade we turn to our CNC machining team who can fabricate whatever you want, out of virtually any material with our CNC cutting machines and tools. You will have invested in high quality production and the final installation is where your large format graphics finally come to life. Whether it’s refitting shops, adding signage or installing vinyl graphics on walls, our experienced installation teams are on hand to ensure your large format productions are installed to the same precision as that used in our production process. Our teams carry out site surveys pre-production to assess any requirements and considerations that need to be made, in order to ensure the installation of your graphics is a smooth process. 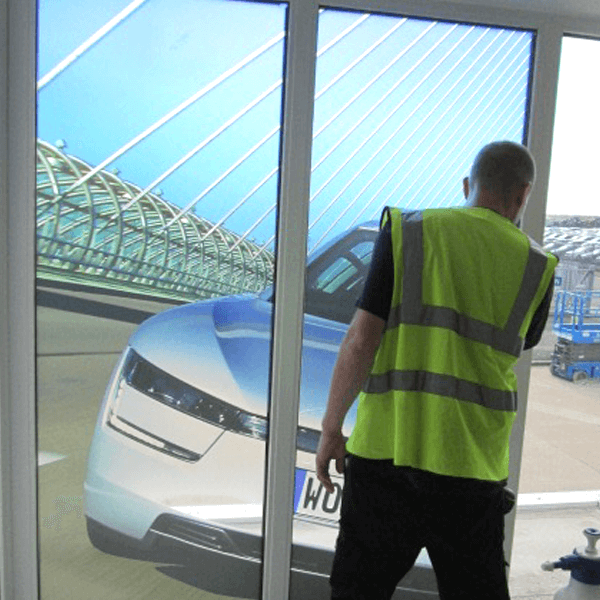 Our installation team is on hand and will travel worldwide, to handle all aspects of ensuring your graphics are installed correctly, and will manage any equipment that required to complete the installation process. If you’ve got a project ready to go, or ideas in development and would like our advice and guidance, we’re here and ready to help.